The Collingwood Brewery is adding more colour to LCBO shelves this spring. 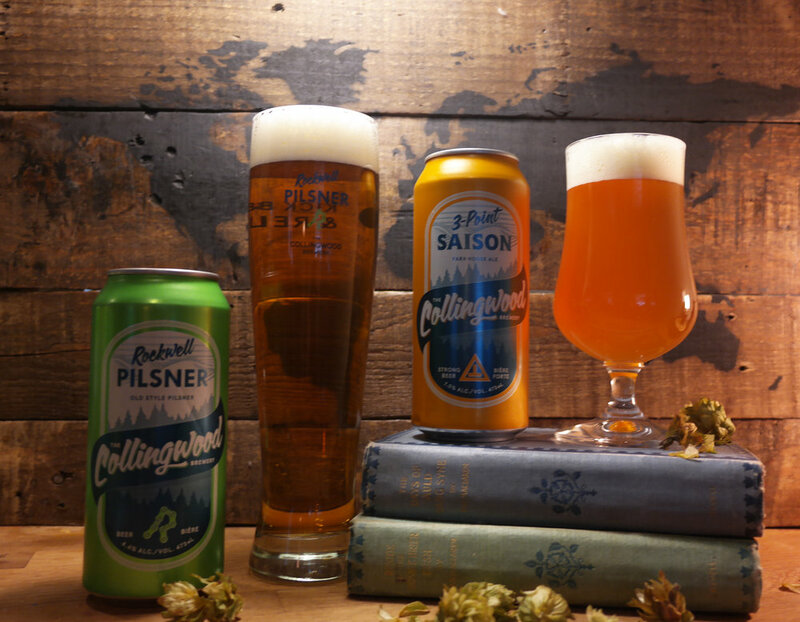 New to the lineup on LCBO shelves will be Rockwell Pilsner and 3-Point Saison. The green and gold coloured cans will sit next to their sister brands Downhill Pale Ale and Kingpost ESB, or ‘the blue and red cans’, as they’re often fondly referred to. Rockwell Pilsner, homed in a bright green can, is inspired by the legendary pilsners of the Czech Republic. This light, refreshing beer is brewed golden and cold-aged to perfection. Its delicate hop aroma is complimented by a clean, crisp finish making it a perfect beer to stock in your fridge for craft connoisseurs and friends just warming up to the craft beer world alike. Rockwell Pilsner is the brewery’s third product to be offered on a permanent basis at the LCBO. The Collingwood Brewery’s award-winning Saison also returns to LCBO shelves with a new colour and new title: 3-Point Saison, as a nod to the agricultural tradition in the Georgian Bay area and the history for the beer style. The new title and golden can will make this popular beer easier to identify on shelves to find and enjoy. 3-Point Saison is a perfect beer for spring and summer nights, it has a lively carbonation which releases aromas of luscious tropical fruit. A mellow, honey sweetness is followed by a crisp, tart finish. 3-Point Saison will be available from March through September. Both products are now on shelves at the LCBO, and will be available in more than 200 stores across the province. Kick back and relax for a perfect end to your day and start your evening off right with a new offering from The Collingwood Brewery. Wee Heavy Scotch Ale arrives for the holidays.